A very British love affair with our cars | What Car? Brits love their cars more than drivers across the rest of Europe, according to a survey from car-hire company Europcar. Nearly three-quarters of British drivers 'love having their own car' compared with just 60% in the other six countries surveyed. Losing their wheels would be a wrench too far for 67% of Brits, while in Europe just 61% said they couldn't do without a car. Europcar surveyed more than 5000 drivers in the UK, France, Germany, Belgium, Italy, Spain and Portugal. Although car ownership is cheaper in the UK than elsewhere in Europe (according to figures from the Society of Motor Manufacturers Traders) we are still doing our best to cut costs. We're driving less, with 65% of walking or using other forms of transport; 62% have changed their driving style to use less fuel, and a third of those surveyed said they were car sharing. In Europe, two-thirds of drivers would cycle more if they didn't drive, while a third would consider using a motorbike or scooter. In the UK, only half would consider getting onto a bicycle, while one in five might opt for a scooter. We're not lazy though: 95% of respondents said they would walk more if they didn't have a car. Largely rural-based drivers, they have no alternative transport option. Most sensitive to cost, they have changed their driving habits significantly. These drivers don't like cars, would happily see them banned from city centres, and would consider getting rid of their own in favour of using public transport. Are you thinking about ditching your car for financial or environmental reasons? Then join this group who use every available means of transport, depending what they're doing. These drivers love their car, use it for most journeys and feel very attached to it. 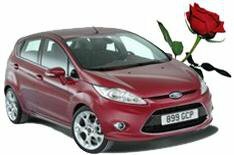 Car lovers would see car hire as a great opportunity to try out a new model. If they need to get from A to B, these drivers wouldn't consider any other way to travel. They simply wouldn't consider giving up their car for any reason at all.